Famous internationally as well as in Japan, Sapporo style ramen traditionally uses a miso-based soup with medium-width curly noodles and is eaten with bean sprouts and onions. Toppings you won’t typically find in other regional styles, such as butter and corn, are also popular. Today numerous varieties of Sapporo ramen are available, including those with soy sauce-and seafood-based broth. A couple of the best places to find ramen shops in the city are Ganso Sapporo Ramen Yokocho, the original ‘ramen alley,’ and Shin Ramen Yokocho (‘new ramen alley’). Enjoy Airport Transfer to/from Chitose Airport, Sapporo! Join And Enjoy City Sightseeing Bus Tour in Sapporo! Get Baseball Game E-tickets for Sapporo Dome in Hokkaido! 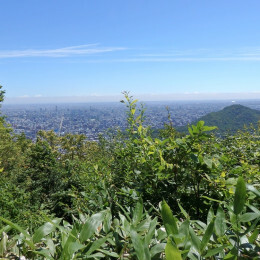 Enjoy hiking and get great coffee at the summit of Sapporo!